IWINETC is the place to grow your business in the wine, culinary & cultural tourism industry. Through a specialised event, IWINETC brings you face-to-face with the right people in the right organisations, to build relations, develop your business and expand your knowledge. Feature your organisation or company with a highly-visible exhibition space. IWINETC offers exhibitors the most cost effective way to connect, engage and build trust with wine and tourism professional. 2 highly energizing days of irreplaceable face-to-face meetings, to promote your business and/or wine region/country. Book an exhibition space in the conference area of the IWINETC. Recommended for wineries, hospitality, tourism bodies and wine trail promoters, a prominently positioned exhibition stand enables you to showcase your organisation, programmes, products and marketing materials to industry multipliers. Your presence over the duration of the conference will allow you to make contact with hundreds of attendees, develop leads and build your brand recognition within the industry. Fee includes a table, four chairs, power wall socket and exhibition space behind the table, 1 exhibition pass and 1 delegate badge, morning coffee break, and lunch on each day of the conference. 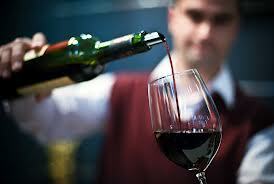 Exhibitors will also be able to participate in the Wine Tourism Meet Up with a presentation of company and services. IWINETC will allocate the location of the exhibition space and comply, as far as possible, with the wishes of the exhibitor. In just one place Exhibitors at IWINETC can take advantage of a multitude of benefits.